When this card is Normal or Special Summoned: You can Set 1 "Majespecter" Spell/Trap Card directly from your Deck, but it cannot activate this turn. 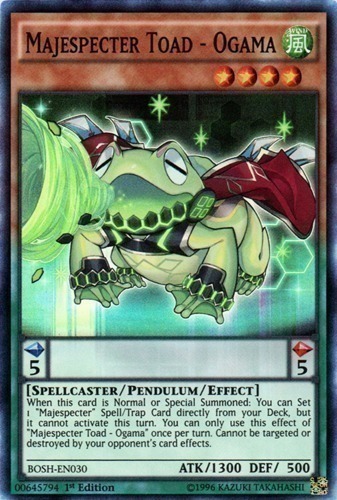 You can only use this effect of "Majespecter Toad - Ogama" once per turn. Cannot be targeted or destroyed by your opponent's card effects.